Hi! I drew this ages ago for fun. 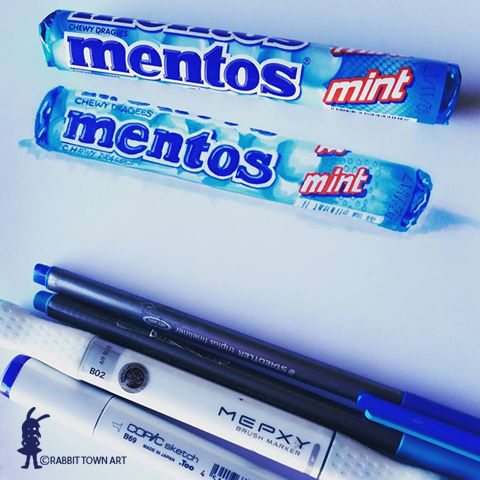 I do love Mentos. I normally have a roll on me nowadays. 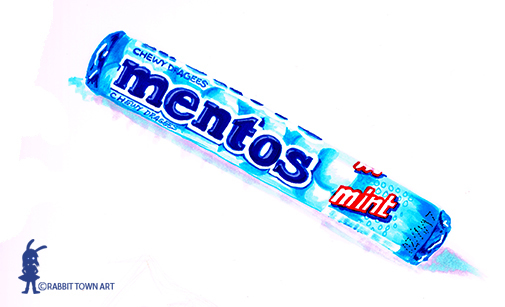 Chewy Minty Freshness! Today was a fun day as Rob and I went to Supanova. 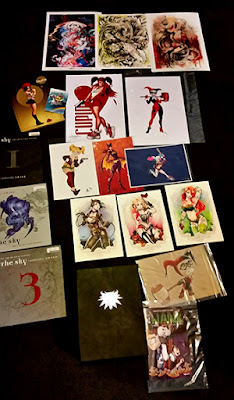 Spent tons buying art prints from artistic friends and meeting new awesome ones along the way and I bought a set of art books by a guy I totally love: Yoshitaka Amano. So good. So expensive but I did buy 3 big books. Anyway, check out my haul! Not the best photo but check out the following links for the artists I bought stuff from!